The ACU community successfully came together May 15 to #SupportWildcats for ACU’s second Day of Giving: ACU received more than 770 gifts, which surpassed our goal for the day. Thanks to matching funds provided for the day, gifts going toward students will total more than $216,000. Gifts for ACU’s first Day of Giving in 2017 totaled more than $140,000. Gifts received will support students in one of three areas: funding academic, leadership and financial need scholarships; the Katie Kirby Student Care Fund, which provides critical, immediate resources to students in need (Learn more about the fund here); and the Exceptional Fund, which meets ACU’s greatest needs and provides ongoing funding for scholarships, faculty and programs. 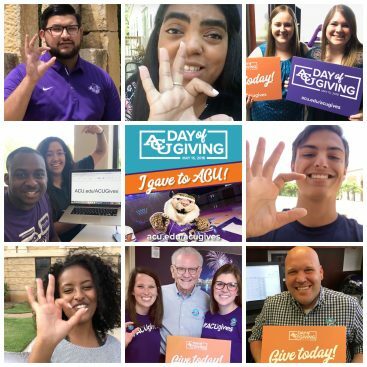 The #SupportWildcats hashtag was a theme for the day, and members of the ACU community shared stories about why gave as part of Day of Giving. 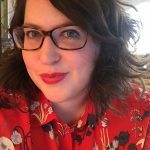 “It feels great to join the tradition of supporting students and sharing what makes ACU so special,” wrote Alicia (Phillips ’02) Pierce.